Sometimes for math book reviews I'm tempted to caution, "your mileage may vary"… meaning that you may get more (or, less) out of a particular volume than I do... we all have different inclinations. David Berlinski's books are especially subject to the varying proclivities of individual readers. Berlinski is a controversial figure (some even call him a "provocateur")… but there is no debate, so far as I'm concerned, that he is an interesting, clever, even unique, writer. With the exception of David Foster Wallace's "Everything and More" I don't know anyone who writes math-related material with more panache than Berlinski does -- and I mostly enjoyed 3 of his prior books, "The Advent of the Algorithm," "Infinite Ascent," "One, Two, Three," and some parts of "A Tour of the Calculus," but this latest work left me flat, despite my being a geometry fan. In tackling Euclid and his axiomatic "Elements" Berlinski may have met his match of subject material that just doesn't lend itself to enthralling explication or word flourishes. At some turns I had a feeling that the author may have churned out parts of the volume just to meet a deadline. This offering seems to lack the richness or fullness of his prior writing, and in the end falls between some cracks… it certainly isn't a textbook, but neither is it really tuned to a mass market. It is not even necessarily suited for a general audience of mathematicians, but at best perhaps for some subset of those who enjoy popular math with a narrow focus on geometry and logic. The elements of Euclid's "Elements" are just too dry and tedious to be turned into scintillating reading even by Berlinski's deft wordplay talents. At ~150 pages, it is at least a brief and fairly easy read, if not an enticing one. One thing that may be telling (or not) is that there are no individual endorsements for the book on the back cover (as is commonplace in today's publishing world), nor even in the promotional letter I received with the book. The volume gets a favorable nod from both "Publishers Weekly" and "Kirkus Reviews" (which are perfectly respectable sources), but oddly lacks a positive thumbs-up from any mathematician/writer. "Publishers Weekly" says, "...even the most math-averse [will be] enthralled by Berlinski’s rich, vibrant language" -- did they read the same book I did!? I certainly don't believe this volume will appeal to the "math-averse," and "rich, vibrant" is a stretch as well, even though occasional passages here-and-there might satisfy that criteria. And "Kirkus Reviews" states Berlinski "brings Euclid’s little-known life alive" -- huhhh? 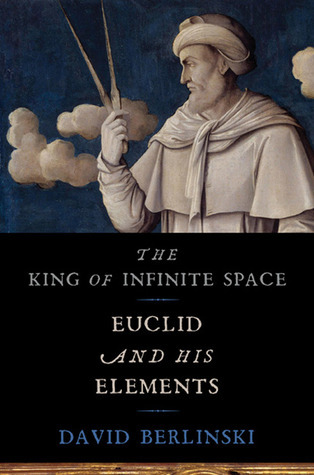 there's actually not much here about Euclid's life at all (in fact early on, the author mentions that little is known of Euclid's life), but rather the volume is a highly-focused analysis of the content of Euclid's "Elements" bit-by-bit. 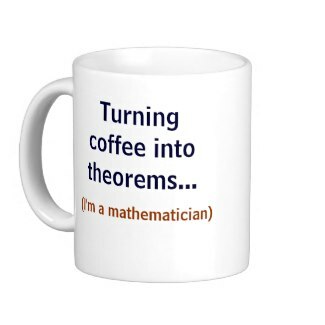 Axioms/postulates, theorems, proofs are fairly dry topic matter (even when there is beauty in them), and analysis or close scrutiny of axioms/postulates, theorems, proofs, doesn't much change that, even with a few interesting stories sprinkled in along the way. Perhaps tellingly, in recent years there have been several volumes on Pythagorus and Fibonacci, and certainly more modern mathematicians, but not so much on Euclid -- possibly a reflection of the difficulty involved in making the subject engaging. At one point, Berlinski quotes the poet Edna St. Vincent Millay, "Euclid alone has looked on beauty bare" -- Berlinski's book often captures the 'bareness' of Euclid's work, but only weakly illuminates whatever beauty might be gleaned. "Like any other mathematician, Euclid took a good deal for granted that he never noticed. In order to say anything at all, we must suppose the world stable enough so that some things stay the same, even as other things change. This idea of general stability is self-referential. In order to express what it says, one must assume what it means. "Euclid expressed himself in Greek; I am writing in English. Neither Euclid's Greek nor my English says of itself that it is Greek or English. It is hardly helpful to be told that a book is written in English if one must also be told that written in English is written in English. Whatever the language, its identification is a part of the background. This particular background must necessarily remain in the back, any effort to move it forward leading to an infinite regress, assurances requiring assurances in turn. "These examples suggest what is at work in any attempt to describe once and for all the beliefs 'on which all men base their proofs.' It suggests something about the ever-receding landscape of demonstration and so ratifies the fact that even the most impeccable of proofs is an artifact." Hmmm.... "proof," as little more than artifact... (in fact one might even go further and argue that "evidence" in science is ultimately little more than artifact, so riddled is it with assumptions, but, I won't go there). Even this passage brings us back, I think, to 'your mileage may vary'… because I suppose what I view as a keen, insightful passage, will strike others as 'ho-hum, what's the big deal about that,' but that may often be the case with Berlinski's commentaries (which can be quite philosophical). Anyway, my advice would be to look for this book in your public library and give it a free read before plunking out dollars for it. Its appeal may be narrow (specifically, for hard-core geometers, or outright Berlinski fans), and there are likely some better current choices out there for your math bookshelf (an older book, by the way, which covers some of the same material but is more expansive, and which I did enjoy, was Leonard Mlodinow's "Euclid's Window"). 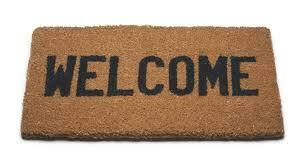 ==> WELCOME Math-Frolickers!… MathTango is intended (and it'll be a bit of an experiment) to be the new residence for longer, more original entries that were occasionally posted at Math-Frolic (including book reviews, interviews, and just lengthier posts in general). Math-Frolic will continue to be a linkblog for quick links to mathematical content that I find interesting and wish to pass along, as well as a portal to many other sites/pages, and will continue posting several entries per WEEK. 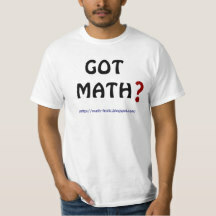 MathTango, on-the-other-hand, is intended to have only a few postings per MONTH. Tomorrow, the first post appears (a book review).